Welcome to Tuesday Talks with the Gluten Free Garage! Each Tuesday over the next five weeks, we’ll be releasing one of the five audio presentations from our Spring 2013 GFG speaker series. KATHY SMART kicks off Tuesday Talks with HOW TO FEEL LIKE A GLUTEN-FREE ROCK STAR. As someone who’s been living with celiac disease since the age of 12, Kathy can certainly relate to how it can zap your energy, create blood sugar imbalance and cause that mid-afternoon slump. If having an increased metabolism and supercharged energy and basically feeling like a rock star sounds good to you, pull up a seat and turn up the volume. In this energy-packed, entertaining 45-minute presentation, Kathy introduces you to the top 5 foods that will give you energy all day long and tells you how to use them. She is living proof that these superfoods give you super high energy! 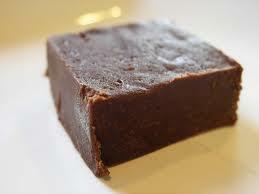 Find out how many superfoods Kathy Smart packs into her fudge. Chef and nutritionist Kathy Smart is a leading gluten-free expert in North America, as well as a television host (of Live the Smart Way, the world’s first gluten-free TV show), bestselling author, Chatelaine columnist and guest on The Dr. Oz Show—basically, she’s a gluten-free rock star! Not only has Kathy’s bestselling cookbook, Live the Smart Way, won several awards, she also received the National Canadian Health Activist award for 2012 and was named one of the 50 Best Healthy Living and Fitness Tweeters in Canada by The Huffington Post. 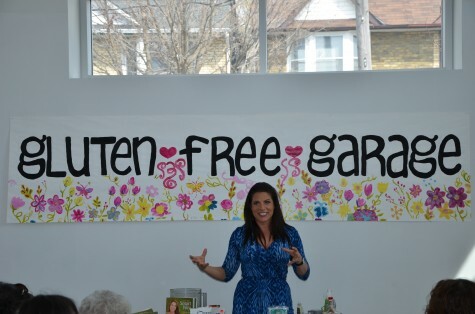 Kathy is a gluten-free advocate and cheerleader who motivates, invigorates and inspires people to live the healthiest gluten-free life through her tips, recipes and passion.